Working out hard will allow for some change in your physique, but the true task is to give your body the necessities it requires for gaining lean muscle mass, decreasing body fat and keeping up your energy level. Here we are discussing smart food choices, a small lifestyle change that is easy to adjust to and anyone can live with. A lifestyle change of healthy eating will not only ensure a maintained physique, but also healthy bodies. Next to water, protein is the most abundant material in the human body. It is present in muscle, bone, connective tissue skin and blood. While consuming enough protein is essential for growth and development of the body, eating huge amounts will not build muscle unless you are strength training at a high intensity in order to cause muscle hypertrophy (muscle growth). 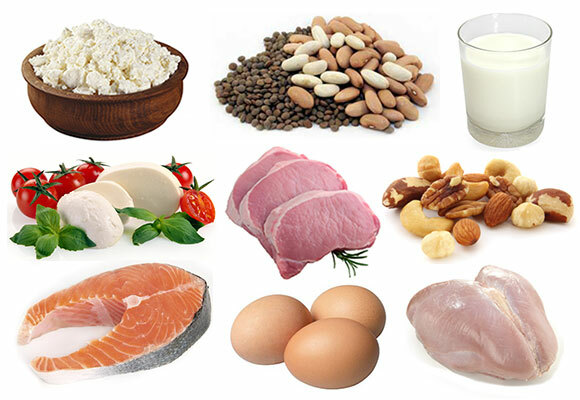 In general, about 15-20% of your total daily calories should come from protein. Shelves are filled with tons of “low carb” items and every new fad diet screams to ‘cut the carbs, pass those potatoes and resist the rice’! Low carbohydrate diets will ultimately affect your stamina and endurance, so they are in fact necessary since they are the body’s main source of fuel. Carbs fuel the body by providing our muscles with glycogen, while working out, and helps us to optimise our athletic performance. Carbohydrates should be from minimally processed sources like eating true whole wheat bread versus white bread or even enriched bread. Carbohydrates should make up about 55-60% of your total caloric intake, depending on your activity level. Fats are an important and necessary nutrient for everyone. That is, some fats – you see, there are those that are saturated and are not good for your cholesterol levels, potentially causing clogged arteries. The fats that are considered good for your body are unsaturated fats. These can actually help protect against heart disease by reducing cholesterol and providing the body with extra energy. If it is a solid at room temperature, it is usually saturated (bad) ; if it is a liquid at room temperature it is unsaturated (good). Drinking water during exercise is necessary to sustain performance and to avoid injury. What to drink and how often to drink it really depends on the duration and type of workout you are doing. There are some activities like long distance running which may require more than water (sports drinks help to also replenish lost electrolytes). A general hydration rule is to drink one 8oz glass of water for every 15-20 minutes of exercise. Now that you have your food basics, you can incorporate this into your existing regimen to achieve a healthier lifestyle. 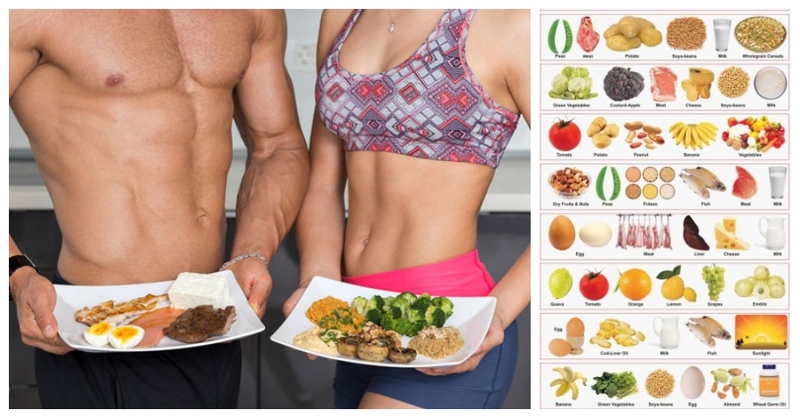 Eat smaller meals more frequently throughout the day to feed your metabolism and raise it naturally, so you are able to burn calories at a more efficient rate. Prepare foods in advance so when you are “starving hungry”, you are less likely to eat junk. Season meats/fish the night before so that they are tastier when cooked. Don’t deprive yourself; if you crave chocolate chip cookies, have one or you’ll end up eating an entire bag tomorrow! Chew slowly and serve small portions at a time so you stop eating when you are full. Do not skip meals – this sets you up for overeating.